Migration is a grand name for what turns out to be a pretty intimate and small-scale story, despite the epic setting. The Elves’ First Christmas is a 32-page picture book that begins with the elves living happily in the forest, enjoying life, and respecting nature and what it has provided for them. That ever-exuberant Siamese kitty with the huge ears is back in this rollicking tale. This time, he’s off for an adventure in his spice (um, space) suit to investigate the planet Mars. 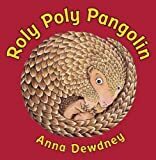 Roly Poly Pangolin is a 40-page picture book about a pangolin named Roly Poly who is afraid of everything. One day Roly Poly sets out on an adventure holding tight to mama’s tail. Kantor is a Pegasus who is very klutzy. No matter what he does, he trips and falls over everything. This bothers him terribly. 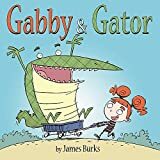 The Cat in the Hat’s Learning Library shows young readers that books can be entertaining and educational at the same time. Pony Scouts: Pony Crazy is a simple, 32-page, easy reader about horses and a girl named Meg. Meg loves everything to do with horses. “He’s pale as a bone and looks older than anyone I’ve ever seen. His skin is all weird. It’s thin and wrinkly, like tracing paper that was rolled into a ball and then smoothed out. Pobble’s Way is a picture book about a young girl named Pobble and her father as they go on an adventure through the woods in the wintertime. The Blue House Dog is a picture book that tells the tale of a boy and a dog.